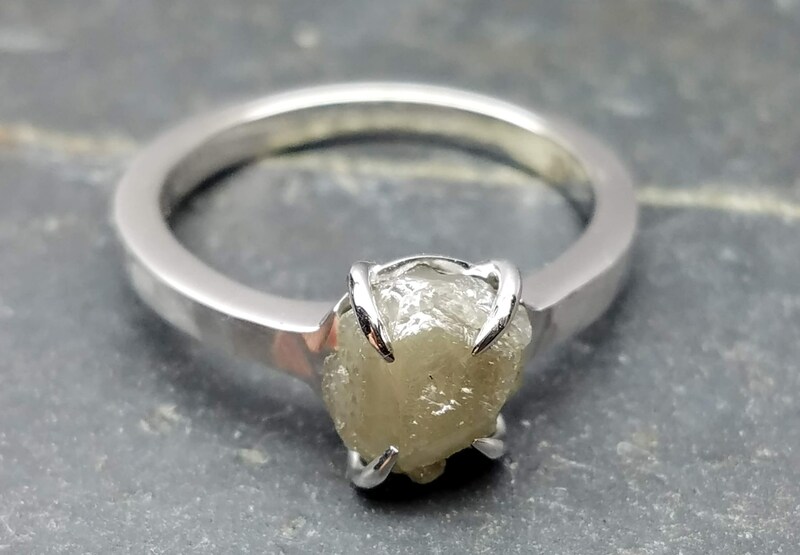 Rough diamond white gold ring, Raw diamond ring, Salt and pepper diamond, Bague en Diamant brut, Roh diamant ring. 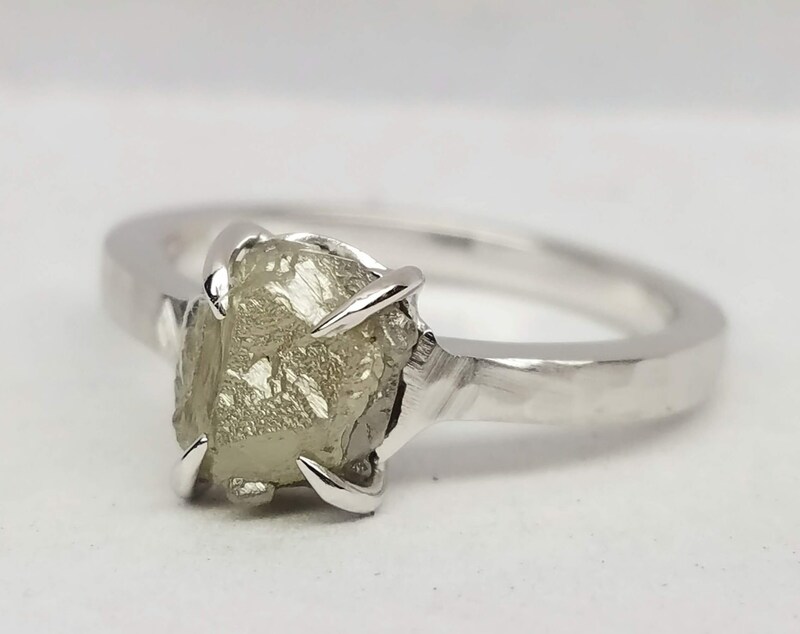 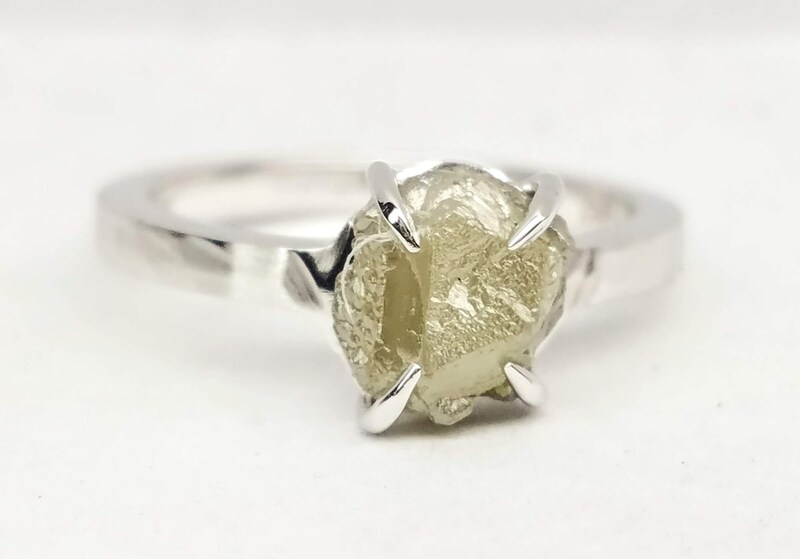 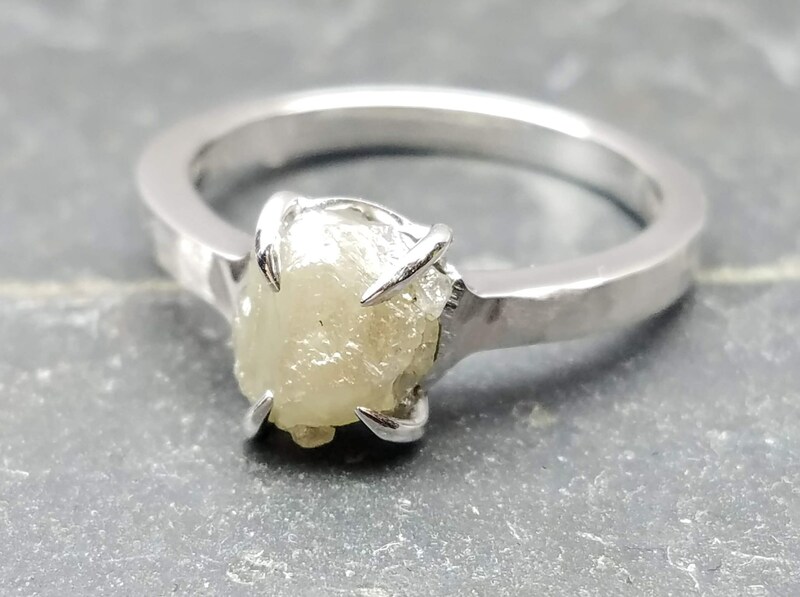 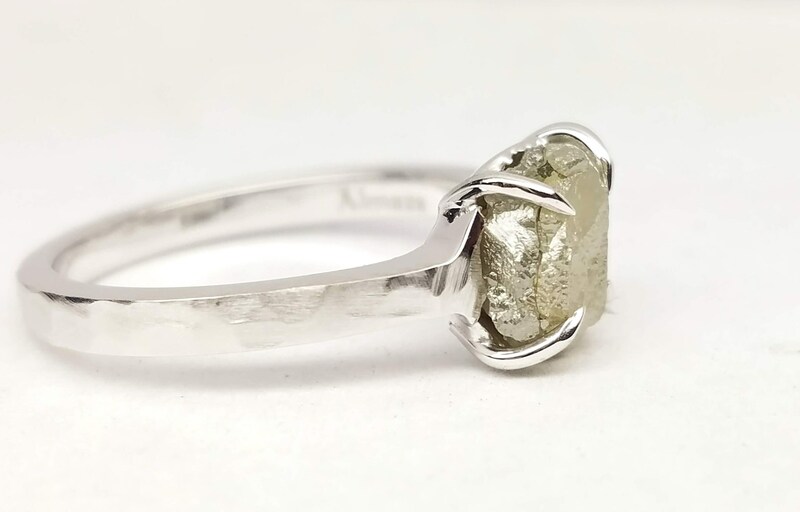 ♥ Very organic natural rough diamond ring. 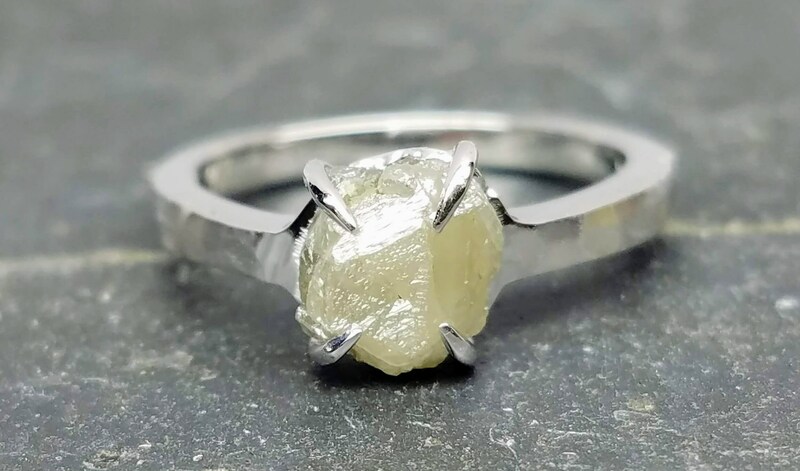 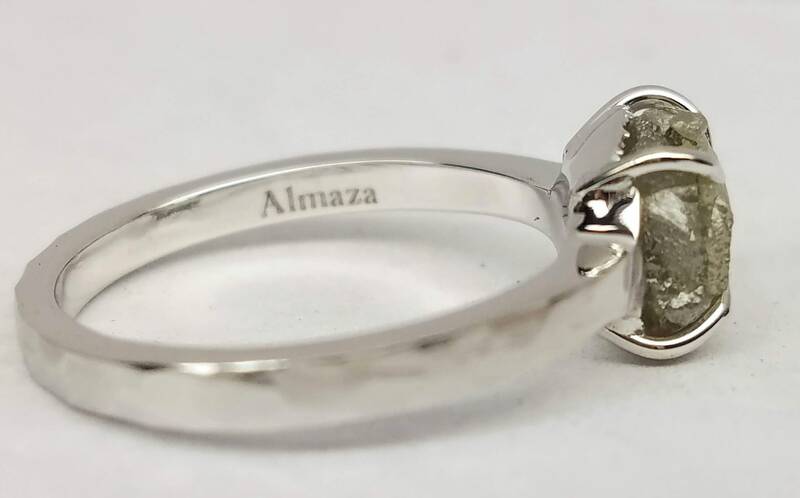 ♥ This natural conflict free rough salt and pepper diamond weighs 1.80 carat,is set in 14kt white gold custom handmade ring. 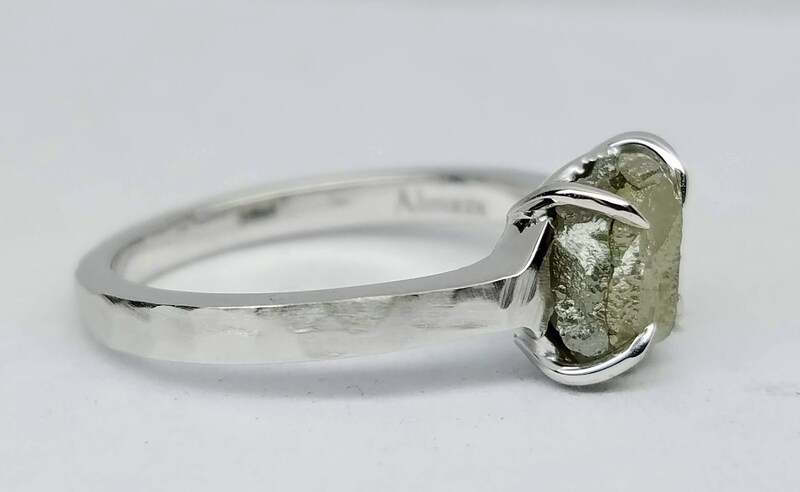 ♥ This ring has a hammer look finish and satin matte finish. 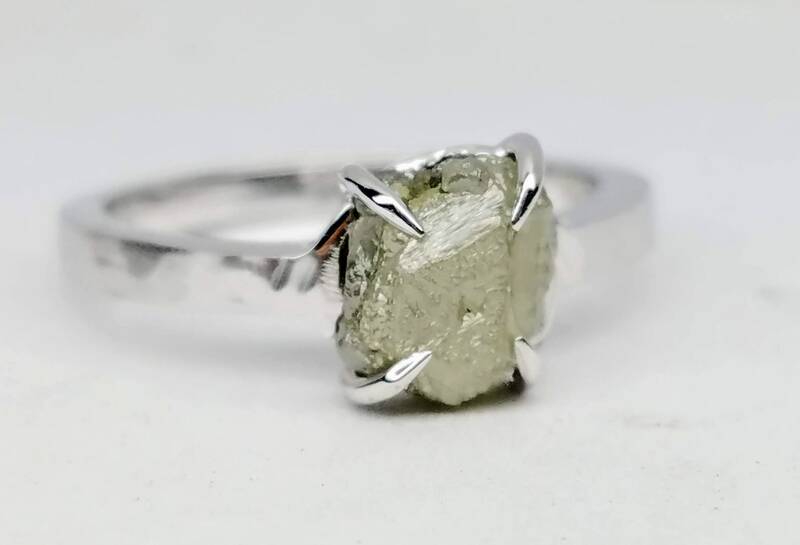 ♥ We also have different color, different size rough diamonds and rings, please ask us or visit our shop. 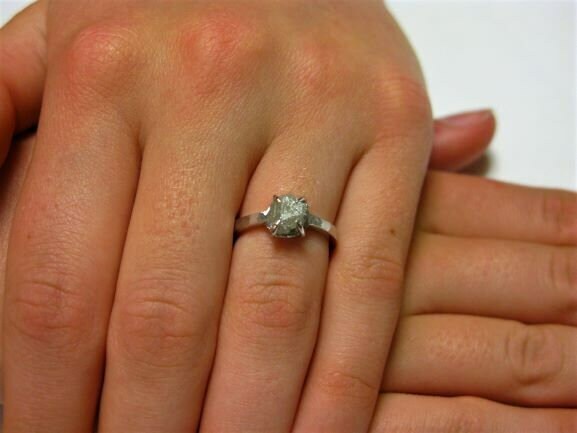 ♥ The diamond is not cut, not polished in raw organic conditions.